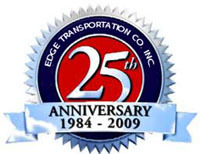 We are committed to providing you with solutions for all your transportation needs. Whether your freight needs to be delivered today, tomorrow or every day, we will customize our service to meet your needs. We are big enough to serve all your transportation needs, yet small enough to respond instantly to your requests. We will pull your trailer or ours. We are fast, friendly and flexible. Please call or e-mail for details about how we can deliver for you. Located in Telford, Pa., We are in a unique position to serve most of the East coast and Midwest overnight. We have the proper equipment for almost any of your transportation needs. Our professional, courteous drivers will project the quality image that you want associated with the delivery of your product.